An intriguing new product stands to make organic gardening easier for people who are short on time. Think of a disc about the size of a nickel that already contains non-GMO seeds and organic fertilizer from vermicompost (compost made from worms). Simply plug it into the ground, keep it moist and watch it grow. 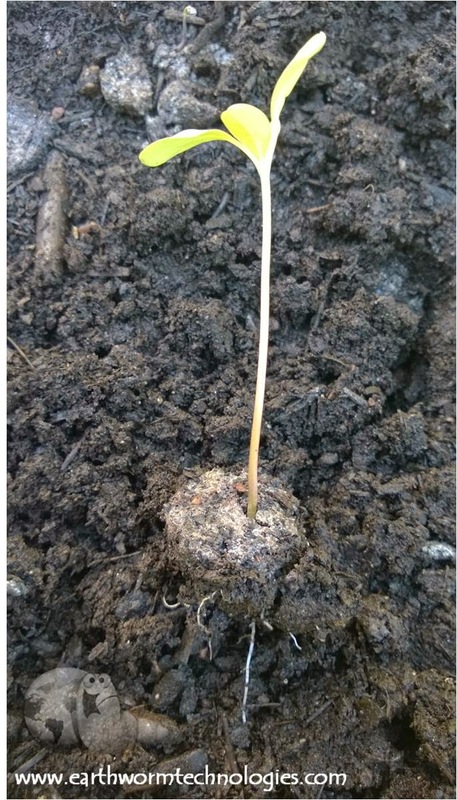 As the plant grows, it feeds off the nutrients included in the disc. "All the nutrients the flowers need are contained in the BloomPucks which break down over time," said creator Steven Devloo of Stamford, Conn. "Our goal is to have more people plant organically and also sustainably using our BloomPucks - eliminating the need for chemicals that are detrimental to the health of our ecosystem," he said. Even the packaging is made from recycled content and printed with soy inks. 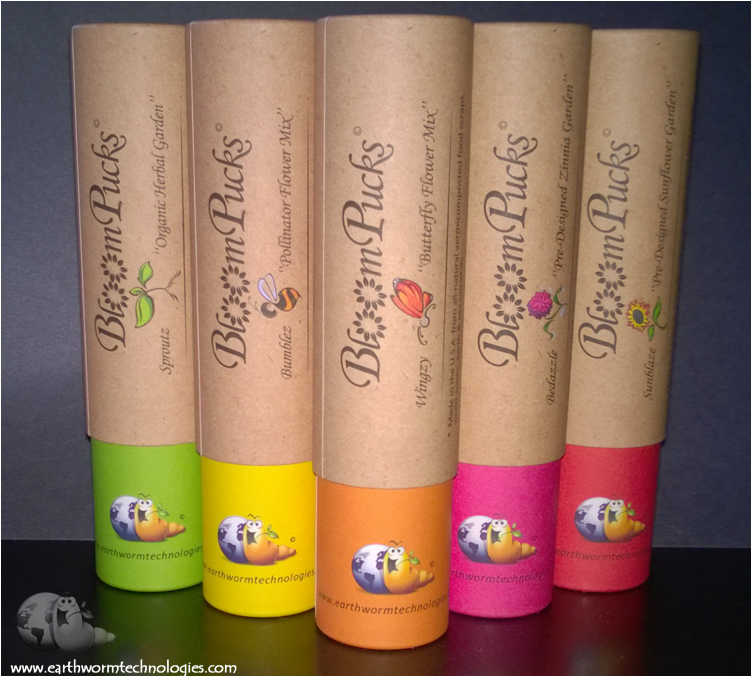 BloomPucks was an organic gardening product developed by his company, Earthworm Technologies. Devloo was interested in getting Americans more excited about organic gardening and finding a solution to turning food waste into something useful instead of sending it into the landfills. Inspiration struck while walking in the garden with his (then) 2-year-old daughter. "We have since figured out a way to turn food scraps into organic worm castings that are all-natural and showing to be superior in many ways in the garden," said Devloo. "We also created a service that allows local area residents in Connecticut an avenue to recycle their food scraps with us." Devloo also educates others about environmental and agricultural issues. "I even spent the day planting BloomPucks with four classes of pre-schoolers recently and talking about worms, organic gardening and having respect for nature," he said. "We find that many people and even life-long gardeners don’t even realize that some of the methods they are using are not sustainable or are bad for the environment." With plenty of vermicompost on hand, Devloo wanted to figure out how to share it with the masses in an eco-friendly, cost-effective way. It had to be safe for pets and children and be easy to use. It also had to be "something that would help pretty much anyone who might not have the time to fully commit to gardening or needed some help with an instant garden design aspect and most importantly we wanted to do all of that organically, and so BloomPucks came to be," he said. The BloomPucks product line. Photo used with permission. There are currently five different BloomPucks available, and Devloo said the best seller is the variety pack. "A lot of customers want to buy all five BloomPucks types - some customers even buy the variety pack to keep some tubes for themselves and give others away as gifts," he said. The variety pack is conveniently priced to be the "cheapest price per tube." The five varieties include Sproutz, Bumblez, Wingzy, Bedazzle and Sunblaze. Bumblez and Wingzy are wildflower varieties, the latter being slightly more popular according to Devloo. Sproutz is a selection of three herbs. "Sunblaze (premium variety of giant sunflowers) and Bedazzle (premium variety of zinnias) have both sold equally well. 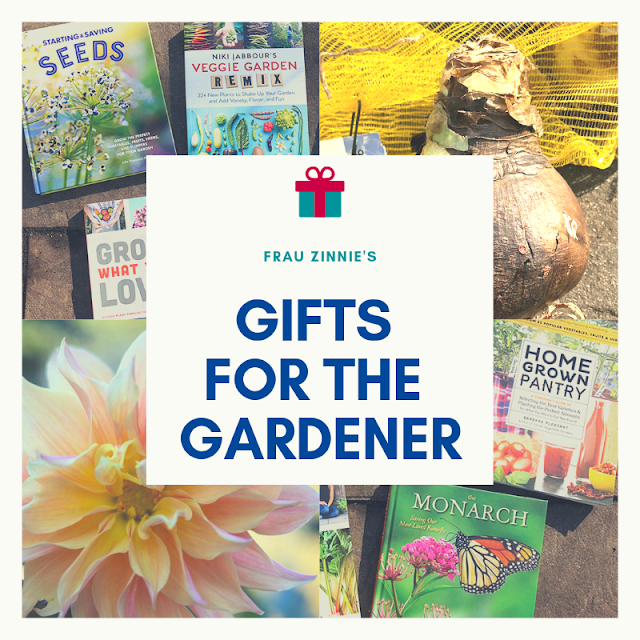 Customers have really appreciated the gardening design element of these two since we have color-coded these products so that you have three different varieties of the underlying flowers growing at different heights and colors in the garden," he said. One orange and two red Bedazzle Bloompucks. Photo used with permission. "We’ve done all the hard work for everyone to grow beautiful gardens the right way," he said. 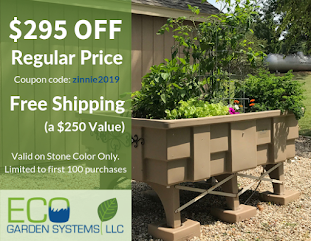 "There’s no thinking, designing or stress involved in the process – one Bedazzle BloomPucks tube will give you a gorgeous organically-grown designed zinnia cutting garden of various heights and colors and you don’t even have to worry about fertilizing it throughout the season." "The concept ... was to not only make the BloomPucks easy to use, organic and less expensive to the consumer, but now you also have the capability to create beautifully designed annual flower gardens without the cost of hiring a landscape designer." 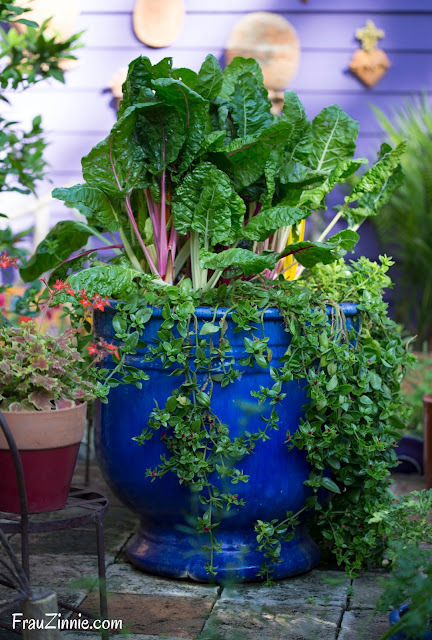 So far, Devloo has received a lot of positive feedback from a variety of gardeners, including one mother who grew the Sunblaze BloomPucks with her 4-year-old son and has been sharing photos of the plants' growth on Instagram. "She never thought she'd be able to grow sunflowers on her fourth floor little apartment patio in the city," he said. What's in store for the next growing season? Devloo said customers have expressed an interest in a pre-designed shade BloomPuck, and he has a handful of other ideas up his sleeve. "New BloomPucks varieties should be on target for launch by next spring," he said. Gardeners are welcome to contact him through Facebook and Twitter if there is a particular item they are looking for. In the future he hopes to use his organic worm castings in other ways as well. "The point is not just to grow your own but to grow your own organically and ideally sustainably, which is what we’re trying to encourage and make easier for everyone!" he said. 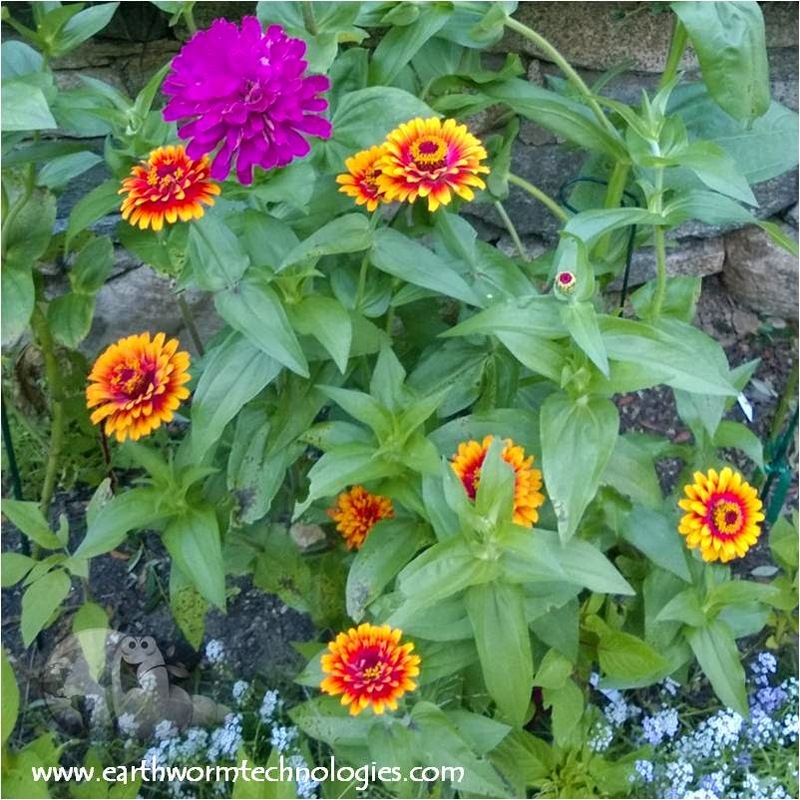 * For more information on how to use BloomPucks in your garden design, sign up at the Earthworm Technologies Garden Blog.